"This is my Christmas gift Presented By Mr. G. S. Peck of Athens, Penna." Transcribed by James J. and Ruby Strange. The transcribers attempted to maintain the spelling of words as they appeared in the diary. Items in parenthesis were inserted by the transcriber for clarification and were not in the original diary. A question mark within a parenthesis indicates an illegible diary word. A question mark at the end of a word indicates that the transcription of that word was uncertain and may not be accurate. 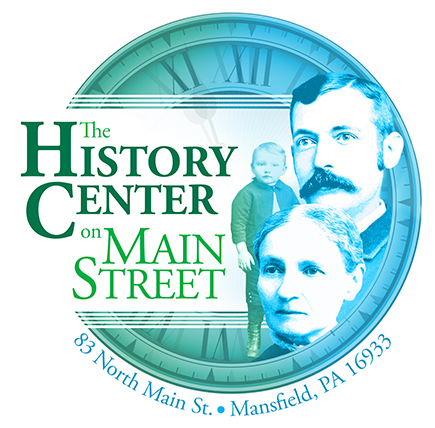 Brief Genealogy Notes: James Strange (b.3/11/1854; d.4/28/1916) married Eunice Mary Hill (b 2/5/1861; d.1/10/1943) on 4/29/1877 in Towanda, Bradford County, Pennsylvania. The parents of James were Charles Strange and Maria Burchill who were married on 9/28/1851 in Mangotsfield, Goucester, England. The parents of Eunice were Warren B. Hill and Lucy Linley. 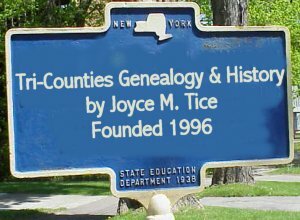 James and Eunice had the following children: 1) Charles Warren (b.3/14/1878; d.7/21/1878); 2) Willard Victor (b.9/02/1879; d.7/23/1880), 3) James Willard (b.10/17/1888; d.5/27/1963), 4) Lucy Mae, 5) Walton Elwood (b.1897; d.1918), 6) Maurice Burten (b.3/23/1891), 7) Perry Lee. January 1, 1879, (Wednesday): At Barclay. I worked today. Started at five and quit at noon. Went down home to supper and had turkey and other things. Fil(l)ed four cars. Only 8 men in the South Side? today. January 2, 1879, (Thursday) At Barclay. I worked today and filled 4 cars and piled? some wood after supper. It is verry cold, awful. January 3, 1879, (Friday) At home now it is very cold. I worked today and loaded 4 cars. The wel(l) rope was broke and I had to fix it and carry water. January 4, 1879, (Saturday) I worked today and filled 4 cars and finished my place. Killed two chickens and made two pick handles. Eunice is trying to gag? with Sa(?). I wish George Peck was here and his family and we might have some fun. January 5, 1879, (Sunday) At home today. It is very cold. Had chicken for dinner. Went down home twice today. Mother is sick and Eunice doant feel well. Got some goods today sacks? and so forth. January 6, 1879, (Monday) I went to work today and loaded 1 car and then got the news that a man was killed. Then we all quit work. It was Archy Hunter. He left a wife and 6 children. Mother Aunt and the children was up here today. Staied to dinner and supper. Eunice went to the Store. Will Fassett’s baby died today at 10 o’clock. January 7, 1879, (Tuesday) At home today. No work today. I tried to make a harness for my dog. Wm. Fassett’s baby was burried today. I saw uncle Ira Linly? today. Eunice was down to see Kass? this evening. January 8, 1879, (Wednesday) No work today. I carried a barrel of water for Eunice. Mr. Hunter was burried today. I went to the funeral. Thare was over 4 hundred at the funeral. The RP burried him. I handled one of my picks. Mother gave us a pare of pictures today. January 9, 1879, (Thursday) I started to work today. Loaded 4 cars. A big snow storm today and the wind blows hard. I was down home for some apples this evening. I must go to bed. January 10, 1879, (Friday) At home now. Eunice is in the nabers and? (?) (?) for hur. I worked today and fil(l)ed 4 cars. Fred Moore was in Barclay today get(t)ing orders for crackers. So I heard. I did not see him. January 11, 1879, (Saturday) At Barclay. I worked today and loaded 4 cars. Was down to Gust Hurdy’s tonight. Lewey? Miller is drunk. I went down the road for my dog. January 12, 1879, (Sunday) I was down home twice today. I took Eunice and Sarah a sleigh rideing today over to Sand Run and Carbon. We hurd that Uncle Ivy is near dead. We was down to Bob Cameson’s? tonight. January 13, 1879, (Monday) Worked today. Loaded 8 cars. Went down home and down to Fassetts to see how Hirey? is. He was not so bad as reported but is very sick. We had crout for supper. I hurd that Marria? Davis is married. January 14, 1879, (Tuesday) Staid home today and made a handle for my hand ax and carried some washwater for Eunice. I was down home twice and ground my ax. Vick turned the stone for me. He said he shaved today. January 15, 1879, (Wednesday) I worked today and loaded 4 cars. Eunice washed and now she is haveing some fun with Durnel? the dog. January 16, 1879, (Thursday) Worked today a 1/2 and loaded 3 cars. I got my pay tonight and it is a small one. This has been a rough day with snow The asseser was around to see who keeps a dog (?). January 17, 1879, (Friday) Worked today and loaded 3 cars. Went down home tonight. Eunice went down to Towanda today and did not come back so I am here all aloan. I had ham for my supper and it was good. 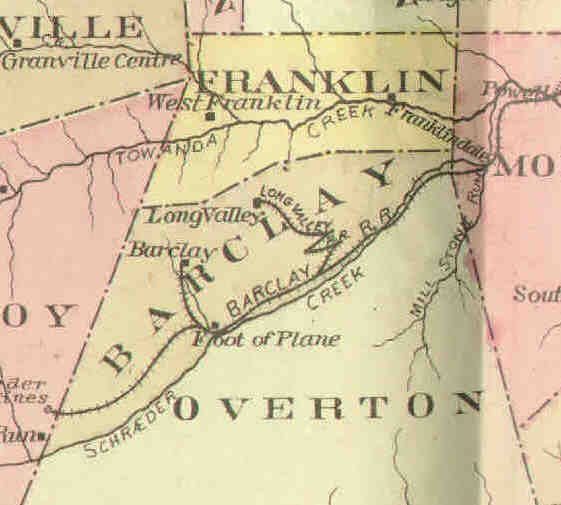 January 18, 1879, (Saturday) Barclay at home now. Worked today and loaded 4 cars. Came home and washed and dressed myself. Then Eunice came home from Towanda and brought me three chickens from George Peck’s. Linta Powers was here tonight. I was down home tonight. January 20, 1879, (Monday) Worked today and loaded 4 cars. Father went to Towanda today as one of the jury. Aunt Ann and cousin started for home today. Eunice is bakeing bread tonight. January 21, 1879, (Tuesday) At home now. Worked today and loaded 3 cars. It is verry cold. I have been doctering my hens tonight and fixing a cap for the mines and put some ear laps on it to keep my ears from freezing for it is so cold up here. January 22, 1879 (Wednesday) Worked today and loaded 4 cars, came home, eat supper and carried some wash water and made a (? ), Eunice is kniting. It is time to go to bed (?). January 23, 1879 (Thursday) Worked today a half and loaded 3 cars. Went over to the Store. Fred Moore was up here tonight and I ordered a bbl of crackers of(f) him. I was in Macks tonight for the first time. January 24, 1879 (Friday) I worked today and loaded 4 cars. Father came home from Towanda today and brought a $20 gold coin with him and it is the first one I ever remember of seeing and it looked nice. I sent John for Powder. Vick gave me two sticks of candy. January 25, 1879 (Saturday) Worked today and loaded 5 cars. Came home and had fish for my supper. I was at lodge tonight and had a go(o)d time. Was down home tonight and Frank has got verry bad head and sore eyes. I have 70 cars loaded for this month. January 26, 1879 (Sunday) At home today. I got up today at 9 o’clock. Had breakfast at half past 10 ten and then went down home and staid until three. Came home for supper. William Lyle? came up to notify me to sit up with the sick next Sunday in Carbon Run. Then I went down home again. January 27, 1879 (Monday) At home to night and feel verry tired. Worked today and loaded 4 cars. Came home got supper carried a pail of water then re(a)d some for Eunice. I must fix the fire and go to bed. Lyda Brown staid at Fathers last night but I did not see her. January 28, 1879 (Tuesday) I am at home now and did not go to the mines to work today. Got my ax (?) out. Wilson did it for me. I got some eggs and butter today Eggs .25, Butter .20. I was down home tonight and to Morris’s House. Wilson and his wife was there to(o). The dog cut his foot today and can’t walk on it. January 29, 1879 (Wednesday) I worked today and loaded 4 cars and worked hard and feel tired. I greased my hens feet tonight. Eunice paid Lynch? today $1.44. I got the cords and screws for our pictures today. We got 50 pounds of meal for our chickens today. I was reading some for Eunice tonight. I have a bad cold this week and it makes me feel bad. January 30, 1879 (Thursday) Worked today and loaded 4 cars. Levy? was up here today and Eunice bought some trimings from him. I was down home tonight. January 31, 1879 (Friday) I worked today and loaded 3 cars came home and fixed the cord and screws on the picture frames and then went down home. February 1, 1879 (Saturday) Today I did not work. I gave Vick a pair of chickens and Jim Walker a hen. I went down home twice today. I must go to Carbon Run to sit up with J. M. Morgan and it is cold. Rose is going to stay with Eunice. February 2, 1879 (Sunday) I came from Carbon Run this morning. I saw a fox cross the road. I was down home tonight. It is very cold tonight. Dan was up here today. February 3, 1879 (Monday) I worked today and loaded 4 cars. I was down home tonight and hurd W. M. Morgan is wors(e) tonight. I have pains in my legs tonight. February 4, 1879 (Tuesday) At home tonight. I worked today and loaded 4 cars. Came home and got supper and carried some wash water for Eunice. I was down home tonight. February 5, 1879 (Wednesday) Staid home today to see the Boss about a houre? went to the Store and paid the freight on a barrel of crackers and cakes. One of the hens laid today. It snowed today. February 6, 1879 (Thursday) At home tonight. Worked today and loaded 4 cars. Mother gave me a Flounder fish for supper and it was good. It was the first I ever saw. I hurd that J. M Morgan died today. George S. & Adlade? was up here tonight. February 7, 1879 (Friday) Worked today and loaded 4 cars. Came home had oysters for supper. Went to a meeting of the IOOF. I got a letter from cousin Lottie tonight. February 8, 1879 (Saturday) Worked today and loaded 3 cars. Someone stole one of my picks out of my place last night. I was at lodge to night and down home. They burried J. M. Morgan today in Blosburg. Some of our members went over with the funeral. February 9, 1879 (Sunday) It snowed some little today. I was down home twice today. It is very windy and cold today. Someone was stealing roosters last night. Jim Walker and Frank Crane lost one a peace. Linta? and Rose was up here tonight and we had some fun. February 10, 1879 (Monday) Worked today and loaded 4 cars. Came home and washed and eat my supper and went to the store for a pick handle. Came home and put it in and split some wood. February 11, 1879 (Tuesday) Worked today loaded 4 cars. It rains like the dickins all day. Cla(i)r Peck came here tonight. February 12, 1879 (Wednesday) Staid home today. Cla(i)r Peck and I was over to Carbon Run and down to the Planes. Had a ride with George Taladay. We was over to the Store and the butchers. February 13, 1879 (Thursday) Sick today with the tooth ach. I got it drained out today and I have got the head and jaw ach. Father is sick today. Clair Peck went home today tomorrow for a letter. February 15, 1879 (Saturday) I worked today and loaded 3 cars and it was hard work for I felt so bad with my jaw. I was down home to night. Linta? was in here tonight. February 16, 1879 (Sunday) Home today. It is a nice day. I was down home twice today. Vick & John was up here today. I have the head ach all day. February 17, 1879 (Monday) I worked today and loaded 4 cars finished my place. It snowed today and is snowing yet. Wm. Mathews little girl died this morning. We had to borrow two scuttels of coal tonight. February 18, 1879 (Tuesday) Worked to(day) and started a new place. This is lection day. I cast my vote. We got our pay tonight. I was in Dr. Johnsons tonight and paid him 25 cents for draining my tooth. Eunice wrote to Ruth today. We got a letter from Lew?. February 19, 1879 (Wednesday) Staid home today. Was down to the butchers and in the Store. Will Mathews baby was burried today. I saw a hard up man and gave him 50 cents and mother gave him two shirts. He staid at Fred Levenworths tonight. February 20, 1879 (Thursday) I worked today and loaded 4 cars. Came home got supper and had to go in the mines for some coal. Frank Crosley was here tonight for the preachers money. We are having lots of snow. February 21, l879 (Friday) Worked today and loaded 4 cars. Our coal came today. Father is sick and in bed tonight. I was down home. Thare is a Ball tonight in the Odd Fellows Hall. The Catholic Templar has it. February 22, 1879 (Saturday) Worked today and loaded 4 cars. I was at lodge tonight and down home. Father is sick in bed yet. February 23, 1879 (Sunday) This is Sunday and a verry rough one it is. It snows and blows like fun. I was down home today. Father is better today and is up. Mrs. Waters is to preach tonight. Rose was here today. February 24, 1879 (Monday) Worked today and loaded 4 cars. Ruth Hill and Nellie Peck came up today. They are here tonight. I was down home tonight. February 25, 1879 (Tuesday) I worked today and loaded 4 cars. Some roof came down and it scared me. I put up a cross peice to keep the roof safe. This is Tom’s birthday. Ruth, Nellie and Eunice has gon(e) to the party tonight. This has be(e)n a rough day. February 26, 1879 (Wednesday) Worked today and loaded 4 cars. Came home got supper brought some water and had lots of fun. Nel Peck is the head of the crowd. Linta? & Emma G. is here tonight. February 27, 1879 (Thursday) Worked today and loaded 4 cars. I went in the mines tonight with the girls and Lint cried. Nellie liked it. March 1, 1879 (Saturday) I worked today and loaded 4 cars. Was at lodge tonight and down home. My throat is verry sore tonight. Nellie and Ruth are here yet. March 2, 1879 (Sunday) I was down home today. One of the leghorn hens layed today. Ruth and Nellie was at church tonight. March 3, 1879 (Monday) I worked today and loaded 4 cars. Eunice and I was down home tonight. Ruth and Nel went home today. March 4, 1879 (Tuesday) I worked today and loaded 5 cars. It was late when I got home. I was down home tonight. March 5, 1879 (Wednesday) Worked today and loaded 3 cars. I got a new shovel for the mines & Burnt J.S. on it. There is a show in the Hall tonight. I brought some wash water for Eunice tonight. March 6, 1879 (Thursday) Worked today and loaded 4 cars. Came home got supper and Eunice and I went to the theater. It cost us 70 cents. March 7, 1879 (Friday) I worked today and loaded 4 cars. One went to the furnice. Vick is sick tonight. We had fish for supper. This is a lovely night. The moon shines bright. Eunice burned hur tongue drinking hot tea. March 8, 1879 (Saturday) Worked today and loaded 4 cars. It is raining lke the dickens and thunder and lightened. There was a man here with the life of Hunter and the Hanging of him and a book of the Mollie Maquires Jack Keohike? king of the mollies. March 9, 1879 (Sunday) Sunday at home today. I was down home twice today. This is a fine day. The hens seem to like it. It is quite a change since yesterday. March 10, 1879 (Monday) Worked today and loaded 4 cars. This is a fine day. The snow is leaving fast. I cleaned the chicken coop a little tonight. Tomorrow is my birthday. March 11, 1879 (Tuesday) Worked today and loaded 4 cars. Got a handle for my Stowe lifter. The water in the mines is high today. Frank Crawford left the Schools and gon(e) in the mines today. March 12, 1879 (Wednesday) Worked today and loaded 4 cars. One of them went to the furnice. I put a leather on my mining cap tonight. Linta was in here tonight. March 13, l879 (Thursday) I worked today and loaded 3 cars. The cars was scarce today. I killed a rooster tonight. Eunice and I was down home this evening. This has been a nice day. The sun shown nice. I got my Devider? today. March 14, 1879 (Friday) I worked today and loaded 4 cars. Had chicken pie for supper. Rosie Eldred took supper with us. I was down home tonight. Vick has the ear ach. March 15, 1879 (Saturday) Worked today and loaded 4 cars. I went down and got my pay tonight. Cotrel? is raffleing his watch tonight. I took a chance. It is 50 cents. March 16, 1879 (Sunday) This is a nice day. Morris and Tom was up here today. I was down home today Linta and Rosie was up here tonight. March 17, 1879 (Monday) Worked today and loaded 4 cars. Jean Wilson was in my place today. It snowed today 3 or 4 inches. Thare is a Ball in the Hall tonight. March 18, 1879 (Tuesday) Worked today and loaded 4 cars. Eunice and I was down to Morris tonight. Eunice took some eggs down for them. March 19, 1879 (Wednesday) Worked today and loaded 5 cars. Eunice and I was down to Eldreds tonight and I bought the menure of(f) him. I paid $175($1.75?) for it. Mother is sick tonight. Orson Peterson was in my place today. March 20, 1879 (Thursday) Worked today and loaded 3 cars. I was down home tonight. Mother is verry sick tonight but is a little better. I was over to the saw mill tonight with my picks to have them handled. March 21, 1879 (Friday) Worked today and loaded 4 cars. Was down to the mill for my picks tonight. I was down home. Mother is verry bad tonight. March 22, 1879 (Saturday) Worked today and loaded 4 cars. I was down home to supper. Mother is verry sick. She is no better yet. March 23, 1879 (Sunday) At home today. I am going to stay down home tonight. Mother is no better yet. Morris and Frank has gone to Towanda for a doctor with Carrols Hors(e) and Bugey. March 24, 1879 (Monday) I did not work today for mother is so verry sick. Dr. Nuten(?) was up to see hur. She is a little better tonight but I am afraid yet for she is so awful sick. March 25, 1879 (Tuesday) Worked today and loaded 4 cars. I was down home tonight to see how mother is. She is a little better. I was down to coveys for some candy and nuts. March 26, 1879 (Wednesday) I worked today and loaded 3 cars. Came home and got my supper alone. Eunice is down to mothers to help them. Mother is some better tonight. Eunice got a letter. March 27, 1879 (Thursday) Worked today and loaded 3 cars. I was down home tonight to see mother. She is some better tonight. March 28, l879 (Friday) Worked today and loaded 3 cars. I had caned pine apple for supper and it was (?). Mother is some better today. I did not go down tonight. I feel so tired. March 29, 1879 (Saturday) Worked today and loaded 3 cars they measured today. I was down home tonight. Mother has a bad throat and it keeps her back. March 30, 1879 (Sunday) Eunice and I was down home to see mother. She is much better today. April 1, l879 (Tuesday) I worked today and loaded 4 cars. Eunice and I was down home tonight. This has be(e)n a fine day. April 2, 1879 (Wednesday) I worked today and loaded 4 cars. I was down home tonight. I took a chicken down to mother. She was up today. April 3, 1879 (Thursday) At Barclay. I worked today and loaded 2 cars. They run slow today. This is a stormey day. It has been snowing all day. The wind blows hard tonight. Eunice washed today. April 4, 1879 (Friday) I worked today and loaded 3 cars. I was down home tonight. Adda went home today. Frank Crawford’s baby died today. It is snowing yet. April 5, 1879 (Saturday) At home tonight all alone. Eunice is in town. I worked today and loaded 3 cars. I was over to the Store tonight, down home and was at lodge tonight. It snowed today. April 6, 1879 (Sunday) At home tonight. I was down to Father’s today and had my supper. Eunice is in Towanda yet. Frank Crawford’s baby was burried today. It was a large funeral. Mother was up all day for the first time since her sickness. April 7, 1879 (Monday) At home tonight. I did not work today. I was down home today. Eunice came home tonight. I made a sledge handle today. April 8, 1879 (Tuesday) At home tonight. I did not work today. I was down home today. Eldrids moved to the foot of the Plane today. Mr. Mack started for the west today. April 9, 1879 (Wednesday) Worked today and only loaded one car then hurd that there was a man killed in No. 7?. His name McNaley. A young man. I was over to the Store and got me a pair of boots $3.75. April 10, 1879 (Thursday) I did not work today. I helped Frank Crawford in the Barn a little. Morris cut his wrist on the ax. I was down home twice today. April 11, 1879 (Friday) I did not work today. I was down to Crawfords Shanty today. Dan Powers and I whent for some ash for pick handles and I cut my new boots with the saw and my foot a little. April 12, 1879 (Saturday) I worked today and loaded 4 cars, I went to the lodge tonight. I snowed today. April 13, 1879 (Sunday) At home today. I was down home today. It snowed today and rained. This is Easter Sunday. I did not eat any eggs today for the first Easter. April 14, 1879 (Monday) I worked today and loaded 4 cars. Old Mike Mule fel(l) down dead in the mines today as he was working and it is good enough for the company. Eunice is out some place and I do not know whare. April 15, 1879 (Tuesday) This had ben a verry nasty day. It has be(e)n raining. I worked today and loaded 3 cars. I was down home tonight and down to Jim Crawford. Eunice set a hen today. April 16, 1879 (Wednesday) I worked today and loaded 3 cars. This is a nice day. I was down home tonight. I got a letter tonight from Lottie Bracey?. Eunice made me a new shirt today and got some suggar?. April 17, 1879 (Thursday) I worked today and loaded 4 cars. I got my pay tonight. It is $46 dollars and 80 c. It has ben snowing all day. April 18, 1879 (Friday) I worked today and loaded 3 cars. This is a verry stormy day. It snowed all day and still keeps it up. I put up a window curton tonight. April 19, 1879 (Saturday) I worked today and loaded 3 cars. One of our hens died today. I was at lodge tonight. Will Saunders got hurt today. April 20, 1879 (Sunday) At home today. This is a nice day. I was down home today. Mother goes out a little now. April 21, 1879 (Monday) I worked today and loaded 4 cars. I was down the road tonight and down to Crawfords. Thare is a concert in the Hall tonight. April 22, 1879 (Tuesday) I worked today and loaded 4 cars. Aunt Sarah and Charlot(t) came up today from Schuylkill. I was down the road tonight. I got a hamer? shears and some pins at a auction sale. April 24, 1879 (Thursday) At home tonight. I was in Towanda today. I bought a plane and some furls. Ruth came up with me. April 25, 1879 (Friday) I worked today and loaded 4 cars. I was in Morrises tonight and in Crows Shanty. Ruth is here tonight. Aunt Sarah and Aunt Charlott was up here tonight. April 26, 1879 (Saturday) I worked today and loaded 4 cars. The Odd Fellows had a supper tonight. I did not go to the supper. I was at the Hall. April 27, 1879 (Sunday) This is a nice day. I set a hen today. Mother and my aunts was up here today. I was down home today. April 28, 1879 (Monday) I worked today and loaded 3 cars. They measured today. I was down the road tonight. Ruth is here. April 29, 1879 (Tuesday) I worked today and loaded 3 cars. I was down the road tonight and to the School House. I got measured for a pair of pance? tonight from Max?. April 30, 1879 (Wednesday) I worked today and loaded 4 cars. I was down the road tonight and in Crawfords Shanty. Aunt Charlott hurt her leg on the steps. They broke and let her through. May 1, 1879 (Thursday) I worked today and loaded 4 cars. I was down home tonight. Dan Powers bought a cow? today. Cotrel? got the sack today. May 2, 1879 (Friday) I worked today and loaded 4 cars. I was down home tonight. Ruth is here yet. May 3, 1879 (Saturday) I worked today and loaded 4 cars. I did not go to lodge tonight. Eunice has got the sore throat. I helped to build a hog pen tonight for John Hunter. May 4, 1879 (Sunday) The wind blows hard today. It has tried to rain all day. I was down home today. Eunice is not well today. Aunt Charlott is sick in bed today. Eight hens laid today. May 5, 1879 (Monday) I worked today and loaded 4 cars. I was down the road tonight. Eunice and Ruth is cleaning house. I have got some young chickens out today. May 6, 1879 (Tuesday) Worked today and loaded 4 cars. I was up in the garden tonight picking stones. Mrs. Hay and I had some loud talk today. We got some potatoes to plant today 50 cents a bushel. We have 5 little chickens. May 7, 1879 (Wednesday) Worked today and loaded 4 cars. I was down the road tonight to see Carrol. I was in Crawfords Shanty tonight. May 8, 1879 (Thursday) I did not work today in the mines. I got my menure drawed? and I cleaned out the coop and white washed it and picked some stones. I was down home tonight. May 9, 1879 (Friday) At home now. I worked today and loaded 3 cars. Ruth is gon(e) to the foot of the Planes. My aunts went home today and mother went with them and took Vick and John. May 10, 1879 (Saturday) I worked today and loaded 5 cars. I was down the road tonight. Ruth went for winter green berries today. May 11, 1879 (Sunday) This is a nice day. Eunice and I was up to the garden and I was down home tonight. Tom was up here tonight. May 12, 1879 (Monday) At home tonight. I worked today and loaded 4 cars. I scattered some menure on the garden tonight. Thare is a show in the Hall tonight. Uncle Toms Cabin is the play. May 13, 1879 (Tuesday) I worked today and loaded 4 cars. Came home and planted some potatoes. I set two hens tonight. Lynch brought me some lumber today. The show continues tonight and tomorrow night. May 14, 1879 (Wednesday) At home now. I worked today and loaded 4 cars. I worked in the garden tonight and planted some potatoes. We got some potatoes from Kracks? today. May 15, 1879 (Thursday) I worked today and loaded 3 cars. I planted some potatoes and some peas tonight. Thare is another show in the Hall tonight. May 16, 1879 (Friday) I worked today and loaded 3 cars. I got my pay tonight. I made a radish bed this morning and set a hen tonight and started to build a hen park and cut some potatoes. The show is still here. May 17, 1879 (Saturday) I did not go to the mines today. I worked at home today and finished my hen park and planted the rest of my potatoes. I was down the road tonight and I feel tired. I was on the go since 20 minutes to five this morning. May 18, 1879 (Sunday) This is Sunday and it has rained this afternoon. I was up in the woods with Tom. Emma Green and Jane Linley? was up here today and took dinner with us. The black hen has five little ones today. I was down home tonight. May 19, 1879 (Monday) I worked today and loaded 3 cars. I planted some squash and cucumber seeds tonight. One more little chicken today. Linta is in here tonight. May 20, l879 (Tuesday) I worked today and loaded 4 cars. I worked in the garden some this evening and was down the road. May 21, 1879 (Wednesday) Worked today and loaded 4 cars. Came home and worked in the garden until dark. Ester Pelton was up here tonight. Eunice and I set out two beds of onions. May 22, 1879 (Thursday) Did not go t the mines today. Father and I went and got a cow for me. I give twenty 28 dollars for it. She is four years old. May 23, 1879 (Friday) I did not go to the mines today. I made a fince in the garden to keep my cow in. I was down home tonight. May 24, 1879 (Saturday) I did not to the mines today. I worked in the garden all day. I planted some beets and some corn and set out my tomato plants. May 25, 1879 (Sunday) This was a nice day. I gathered a mes(s) of greens today. We had a nice rain this afternoon. My plants look nice tonight. I was down home tonight and brought up a skimer?. May 26, 1879 (Monday) Worked today and loaded 4 cars. I carried some wash water tonight. This is a cold night. I had to cover my plants for fear of frost. May 27, 1879 (Tuesday) This is a cool day and it rained. I worked today and loaded 4 cars. We had a heavy frost last night. I got some eggs from Schuylkill Co. today. They are Leghorns. May 28, 1879 (Wednesday) I worked today and loaded 3 cars. Eunice and (I) churned tonight. I was down home and got a churn and ladle. May 29, 1879 (Thursday) Worked today and loaded 2? cars. Came home and worked untill dark in the garden and cuting wood. May 30, 1879 (Friday) This is declaration day but I was at work and loaded 2 cars. I planted some corn today. I was down home tonight. May 31, 1879 (Saturday) I did not go to the mines today. I was over to the Store. Fred was up today and got his hoe and rake. I planted squash and cucumbers. June 1, 1879 (Sunday) This is Sunday and it is verry warm. I let my cow out for the first time but she did not bother me much. I was down home tonight. June 2, 1879 (Monday) I did not go to work today. I worked in the garden some. I planted some pumpkin? seeds today. I have some more little chickens out today. Willie Green died today (note this same entry on June 3rd). June 3, 1879 (Tuesday) Worked today and loaded 4 cars. I was down home tonight to take them some milk. Willie Green died today. June 4, 1879 (Wednesday) I did not go to the mines today. I was over to the Store today and bought me a new suit of blue clothes. I was down to see Willie Green tonight. June 5, 1879 (Thursday) I worked today and loaded 4 cars. Willie Green was burried today in Franklin. I feel tired tonight. June 6, 1879 (Friday) I worked today and loaded 3 cars. I set one of my hens today for the second time on some leghorns hens eggs that I got from Schuylkill County. Mr. Jacob Bird sent them. June 7, 1879 (Saturday) I worked today and loaded 1 car and then went to work in the fault? to see if the coal was any good. I was down home tonight. June 8, 1879 (Sunday) This is Sunday and a nice day to(o). I was at church today. I was up in the woods? to see my garden. Morris and Wilson was up here today. June 9, 1879 (Monday) I worked today and loaded 4 cars. I was up in the Garden picking Potato Bugs tonight and hoed some tomato plants in the garden at the house and some beans. June 10, 1879 (Tuesday) I worked today and loaded 2 cars. Linta & Milley was in here tonight. I hoed some peas tonight and picked some bugs. It rained today. June 11, 1879 (Wednesday) I worked today and loaded 4 cars. This is a nice day. It is verry warm. Eunice ordered some cabbage plants today. June 12, 1879 (Thursday) This is a warm day and has tried to rain. I did not go to the mines today. I worked in the garden some and I Killed my Big Bramey? Rooster. He was sick. I was down the road tonight and had supper at fathers. June 13, 1879 (Friday) This has be(e)n a fine day. I worked today and loaded 4 cars. I was down the road tonight to see Obrine about a rig for Saturday wheek? to go to Town. June 14, 1879 (Saturday) This has be(e)n a nice day. I worked today and only got two cars. Thare was a miners meeting tonight. I worked in the garden tonight and went down home with some Butter milk. June 15, 1879 (Sunday) This is Sunday and it is a nice day. It rained today. Eunice and I was up in the woods to day. I was down home today. June 16, 1879 (Monday) I worked today and loaded 4 cars and hoed some potatoes. Tom and his wife was up tonight. Frank and Morris was gathering for the McIntyre miners tonight. I gave a dollar. June 17, 1879 (Tuesday) I worked today and Loaded 3 cars. One of my little chickens is gon(e) tonight. I worked in the garden some tonight. Eunice and I was down home tonight. No work tomorrow. June 18, 1879 (Wednesday) The mines did not run today. We got our pay today. They had a new style of paying. I worked in the garden this afternoon and was down the road tonight and bought a (?) Lemnon?. June 19, 1879 (Thursday) I worked today and loaded 4 cars. I was up in the garden hoeing some potatoes tonight. They are growing fine. June 20, 1879 (Friday) This has been a splendid day. I was in the mines and loaded 2 cars. I came home soon and hoed some potatoes. June 21, 1879 (Saturday) Eunice and I are in Towanda tonight. I worked in the garden this fore noon and then drove down with a covered carrage. We have Durnen? with ous. Fred and I was fishing. June 22, 1879 (Sunday) I was up on the Island with Fred and Gust. We went over in a boat. I am staying overnight. It rained so hard. June 23, 1879 (Monday) Came home today. Got here at noon. I bought a brace a brace and three bits and a lamp. I sold curnel? for ten dollars today. I got a sickel and a straw hat. June 24, 1879 (Tuesday) This has ben a verry warm day. I worked and loaded 4 cars. I worked in the Garden tonight. Eunice and I was down to see Tom’s boy tonight. June 25, 1879 (Wednesday) I worked today and loaded 4 cars and worked in the garden some. One of my Bramey? hens died tonight. I was down the road tonight. June 26, 1879 (Thursday) This has ben a warm day. I worked in the garden all day hoeing potatoes. I was down home tonight. I have some little leghorn chickens. June 27, 1879 (Friday) This has be(e)n a fine day. Tom and I worked my road tax. I was over to the Store tonight. I saw Mr. John Saxton tonight and si(g)ned for a paper 1.50. June 28, 1879 (Saturday) I was in the mines to and only got one car. I got my potatoes plowed? today. June 29, 1879 (Sunday) This has be(e)n a verry rainey day. I was after some straw berries today and down home tonight. June 30, 1879 (Monday) I worked today and loaded 4 cars and worked in the garden some tonight. I was down the road for the cows. July 1, 1879 (Tuesday) This has be(e)n a nice day. I worked today and loaded 4 cars. Came home at two and hoed potatoes until eight. I was down home tonight. Joe Sweney got married today. July 2, 1879 (Wednesday) This has ben a verry warm day. I loaded 4 cars today and hoed some potatoes tonight. I got my paper tonight. July 3, 1879 (Thursday) This has ben a verry nice day. We had a nice shower. I loaded 4 cars today and hoed some potatoes tonight. The fourth has comenced? down Street. July 4, 1879 (Friday) This has ben a fine day for the fourth. I hoed some potatoes and corn and tomatoes. Eunice and I was down home to supper. The Barclay Club played ball at Munroeton today and beat them. The game was six one in favor of Barclay. July 5, 1879 (Saturday) This has been a nice day. I loaded 4 cars. I was picking bugs this evening in the garden. Eunice and I was eating some cake and drinking lemnonade just now. July 6, 1879 (Sunday) This has been a warm day. I was down home tonight. Tom and Kate was up here tonight. I found my hens nest today with ten eggs in it. The little pile? game. July 7, 1879 (Monday) This has ben a cool day. It has tried to rain all day. I worked today and loaded 3 cars. I hoed some corn tonight. July 8, 1879 (Tuesday) This has ben a nice day. I did not go to the mines. I worked some on a wheel barrow today and picked some bugs. I was down home tonight. July 9, 1879 (Wednesday) This has ben a nice day and I was not at work for I did not feel well. I did some at my wheel barrow. I was over to the store and got a box. Eunice got her quilt off tonight. July 10, 1879 (Thursday) This has ben a nice day. I did not go to the mines today. I sowed some turnip seed. Tom is up here tonight. We had a nice rain tonight. July 11, 1879 (Friday) This has ben a warm day. We had a nice rain this evening. I worked today and loaded 3 cars. I drove the cow tonight. July 12, 1879 (Saturday) This has ben a nice day. I was at work and only got one car. Eunice and I was down to Jim Peltons tonight and had ice cream. July 13, 1879 (Sunday) This has ben a nice day and we had a nice shower. Jim Pelton and his wife was up here tonight. I was down home this evening. July 14, 1879 (Monday) This has ben a verry warm day. The mines did not work today. I racked? my tomatoes and picked some bugs and put legs on my wheel barrow. July 15, 1879 (Tuesday) This has ben a fearful hot day. I worked today. Loaded 4 cars. It is most 11 o’clock and have just milked the cow is late. July 16, 1879 (Wednesday) This has ben a warm day. I loaded 3 cars today. Thare is no work tomorrow. I was just reading a story. July 17, 1879 (Thursday) This has ben a cool day. The mines did not work today and I picked a pail of black rasberries. I brought some wood and went to the Store. July 18, 1879 (Friday) This has ben a verry cool day. I worked and only loaded 2 cars. I was cuting grass for our cow tonight. July 19, 1879 (Saturday) The mines did not work today. We got our pay today. It is verry cold tonight. I picked some rasberries and bought 5 quart of huckel berries. July 20, 1879 (Sunday) This has ben a cool day. Mother and John and Vick was up tonight. Eunice and I went down home with her. July 21, 1879 (Monday) This has ben a nice day. I loaded 4 cars and it was late when I got home. Charles Taladay was up here tonight. July 22, 1879 (Tuesday) I worked today and loaded 2 cars. We only worked three quarters. We have had quite a rain tonight and it was just what was wanted. Thare is a walking match in the Hall tonight to continue 20? ours. July 23, 1879 (Wednesday) Thare was no work today. I worked in the garden some and picked 11 quarts of black rasberries today. The walking match is still on. The well curb broke tonight as I was drawing water. Eunice caned the berries. July 24, 1879 (Thursday) This has ben a nice day. I took some radish down home tonight. Thare was a concert in the Hall tonight three blind men. I worked and loaded 2 cars today. July 25, 1879 (Friday) This has ben a rainey day. The mines did not work today. There is a show in the Hall tonight. I was down the road today. July 26, 1879 (Saturday) This has ben a nice day. I worked today and loaded 2 cars. I was down the road tonight. July 27, 1879 (Sunday) This is Sunday and a nice one to(o). I was up in the garden today and down the road tonight. Eunice and I was in Schraders tonight. July 28, 1879 (Monday) The mines did not work today. Tom and I was in and Tom worked with me and we loaded l car a peice. I was down the road tonight. John Hunters cow got her horn broke off today. I milked for John. July 29, 1879 (Tuesday) This has ben a nice day. I worked today and loaded 1 car. I took some radish down home tonight. July 30, 1879 (Wednesday) This is a nice day. The mines did not work today. I picked a few berries today and mended a crib. I was over to the Store to order our groceries and a pair of pillows. I got me a pair of shoes and a pair for Eunice but Eunices did not fit. July 31, 1879 (Thursday) I worked today and loaded 3 cars for me and one for Tom. They measured me today. August 1, 1879 (Friday) This had ben a very warm day. The mines did not work today. I piled some brush up in the garden. We bought a pair of shoes from (?) J. O’Brine today for $2 dollars. I was down home twice today. August 2 1879 (Saturday) This has ben a nice day. We had a nice rain. I worked today and loaded 2 cars and cut a tree down tonight. Mrs. Powers has a baby today. We have got a new well curb today. The Band was up here tonight. August 3, 1879 (Sunday) This has ben a warm day. We had a nice rain. The lightning struck a tree. I was down home tonight and saw John Brown. August 4, 1879 (Monday) This has ben a rainey day. The mines did not work today. I was over to the Store. Dan and I cut three trees down. August 5, 1879 (Tuesday) I worked today and loaded 2 cars. This has ben a nice day. I sowed some radish tonight. August 6, 1879 (Wednesday) I worked today and loaded 4 cars. This has ben a nice day. I cut some corn for the cow in the upper garden. August 7, 1879 (Thursday) This has ben a rainey day. I made a way into my Sellar from the outside. The mines did not work today. We fixed around the well a little today. Jean Wilson left the hill today. August 8, 1879 (Friday) I worked today and loaded 3 cars. I dug some potatoes in the upper garden tonight and some c(orn). stalks. August 9, 1879 (Saturday) This is a verry cool day. I worked and loaded 2 cars. I was down the road tonight and in Hunters to see the churning?. August 10, 1879 (Sunday) This has ben a fine day. Morris and Crawford was up and I gave Morris a young chicken. Mother, John and Vick was up to supper and Dan came after her. Eunice and I was up in the garden tonight. August 11, 1879 (Monday) I worked today and loaded 2 cars and trimed my tomato vines. I was down the road tonight. August 12, 1879 (Tuesday) This has ben a nice day. I loaded 3 cars today. I was down the road tonight. August 13, 1879 (Wednesday) The mines did not work today. I worked in my sellar. I took the floor out and put dirt in and hung the door. I was down the road tonight. I made some chow chow, a bottle full. August 14, 1879 (Thursday) Worked today and loaded 2 cars. Jane Linley is working for ous(us). August 15, 1879 (Friday) This has ben a cloudy day. Morris and I sawed some wood. The irish had a picknic today. August 16, 1879 (Saturday) This has ben a rainey day. I loaded 2 cars. I went over for ice to have ice cream. Dorsy? and fide was here. We had a hard job. I killed a chicken tonight. August 17, 1879 (Sunday) This has ben a cloudy day. Eunice, Jane and I was up to the garden today. We had chicken for supper. Tom was up here tonight. August 18, 1879 (Monday) This has ben a cold day. I started a new place and loaded 4 cars. I got my Divider tonight. August 19, 1879 (Tuesday) This has ben a nice day. The mines did not run today. Morris and I sawed some wood today. I was down home today. Mr. J. L. Sexton was over today. August 20, 1879 (Wednesday) The mines worked today. I did not. Eunice did not feel well. This has ben a fine day. I fixed my chicken coop and was down the road. August 21, 1879 (Thursday) This has ben a nice day. The mines did not work today. I got my pay today. Fred Moore is up tonight. I was down home tonight. August 22, 1879 (Friday) This has ben a warm day. I loaded two 2 cars. It was only a half day. Fred went home today. August 23, 1879 (Saturday) This has ben a nice day. I worked today and loaded 4 cars. Jane’s mother was up here tonight. August 24, 1879 (Sunday) This has ben a fine day. I killed two chickens and chicken pie. I was down home tonight. August 25, 1879 (Monday) This has ben a rainey day. The mines did not work today. I cut two trees down today. We had green corn for dinner. August 26, 1879 (Tuesday) I worked today and loaded 3 cars. We got measured today. Tom was up tonight. August 27, 1879 (Wednesday) This has ben a nice day. The mines did not run. Tom and I was in. I cut a ditch and loaded 1 car. I was down home tonight. August 28, 1879 (Thursday) I worked today and loaded 3 cars. I picked some tomatoes tonight and was down home. August 29, 1879 (Friday) This has ben a verry warm day. Harvey Powers and I cut some poals(poles) for a fence. I was down to the foot of the Planes to order some lumber for a barn. August 30, 1879 (Saturday) This has ben a warm day. I did not work. The mines did. We got a crate of peaches today. I was over to the Store. August 31, 1879 (Sunday) This has ben a warm day. I was down home twice today. A camp meeting in Carbon today. September 1, 1879 (Monday) This has ben a fine day. I did not work today. I was down the fishing Path for pick handles with Crow?Lynch. Brought my lumber. Eunice is sick. September 2, 1879 (Tuesday) This has ben a warm day. The mines did not work today. Eunice has a baby boy (Willard Victor). 9 ½ pounds is his weight. Harvey Powers and I sawed wood today. Tom and Kate and John was up tonight. September 3, 1879 (Wednesday) This has been a dul(l) day. It has tried to rain all day. I did not work toady. The mines did. I staid home to take care of Eunice and the Babe. Jane washed. I was down home. Mother was up tonight. September 4, 1879 (Thursday) I worked today and loaded 2 cars. I was down home. The babe is cross. September 5, 1879 (Friday) This has ben a warm day. I worked and loaded 2 cars and finished my Place. I was over to the Store and down home. September 6, 1879 (Saturday) This has ben a warm day. The mines did not work today. I fixed a place for my Barn and was down home. September 7, 1879 (Sunday) This has ben a nice day. I was up in the woods. I gave mother some tomatoes. John and Vick gave the Baby a cup a peace(?). September 8, 1879 (Monday) This has ben a cool day. The mines worked today. I started over in the swamp and loaded 2 cars. September 9, 1879 (Tuesday) The mines did not work today. I was building my Barn. The Boy helped me. It rained today. September 10, 1879 (Wednesday) This has ben a fine day. I did not go to work. I was in town and went through the Jale. There was a lot of prisoners in. September 11, 1879 (Thursday) This has ben a fine day. I worked today and loaded 1 car. We have made up our minds to use? the babe to nurse the bottle. September 13, 1879 (Saturday) This has ben a fine day. The mines did not work today. I cut some corn and dug some potatoes. Jane got a pare of new shoes today and had them put on the Book 250 ($2.50). I killed a chicken. September 14, 1879 (Sunday) This has ben a dul(l) day. Jane has ben down home. We had a chicken pie for diner. I was down home. Mother was up tonight. September 15, 1879 (Monday) This has ben a nice day. I loaded 2 cars. I was working on my Barn. September 16, 1879 (Tuesday) The mines did not work today. I worked on the Barn and was down the road. John Carrol has a sick hors(e). Tom was up and got mad today. September 17, 1879 (Wednesday) This has ben a nice day. I worked and loaded 3 cars. I made the Stall Bigar in the Barn tonight but did not finish it. September 18, 1879 (Thursday) I did not work in the mines today. They did not run. I worked on the Barn. We got our pay today. Mrs. Hunter killed 5 chickens for Beveridge yesterday. I gave two chickens to Powers today. September 19, 1879 (Friday) This has ben a nice day. I worked and loaded 4 cars. The IOOF had a picnic out on the view today. Thare is a show in the Hall tonight. September 20, 1879 (Saturday) I worked today and loaded 3 cars and killed two chicken. Fide was up tonight. This had ben a nice day. September 21, 1879 (Sunday) This had ben a fine day. Ruth did not come up today. We had ro(a)sted chicken for diner. Fide was up to dinner. I was down home. Father is away over to BlossBurg with bush?. September 22, 1879 (Monday) This has ben a nice day. The mines did not work today. I dug some potatoes in this garden and was down the road tonight. Vet? Linley? is here tonight. September 23, 1879 (Tuesday) This has ben a nice day. I worked and loaded 3 cars. Eunice & Jane was down the road tonight and I took care of the Babey. September 24, 1879 (Wednesday) This has ben a rainey day. The mines did not work today. I Battened my Barn. I was down the road tonight. I helped Powers to move his barn. September 25, 1879 (Thursday) This has ben a cool day. Eunice and Jane was down to Leroy to Uncle Iryes?. The mines worked. I loaded 3 cars. September 26, 1879 (Friday) This has been a fine day. I loaded 2 cars today and split some wood tonight. September 27, 1879 (Saturday) This has ben a nice day. The mines worked today. I loaded 3 cars. I was down home for some butter. September 28, 1879 (Sunday) This has ben a nice day. Harvey Powers and I was after some nuts. It rained tonight. I found a pocket book with 25 cents in silver down on the crick. September 29, 1879 (Monday) This has ben a nice day. The mines did not work today. I dug some potatoes today in the upper garden. Eunice, Jane and I was down to Doss Greens tonight and had hickory and butter nuts to eat. September 30, 1879 (Tuesday) I worked today and loaded 4 cars and was down home tonight to bring Eunice and the Babey home. October 1, 1879 (Wednesday) This has ben a verry warm day. I loaded 4 cars today and feel tired tonight. No work tomorrow. The Dr. cut the Babeys toung? today. October 2, 1879 (Thursday) This has ben a verry warm day. I tried to dig potatoes but the sun was to(o) hot and I gave it up.Vet Linley? and Art Smiley was here today and we went for chestnuts and we had a dance tonight and it went off nice. October 3, 1879 (Friday) This has ben a nice day. I loaded 4 cars. Jane and Eunice is gon(e) down to mothers to get some butter. October 4, 1879 (Saturday) This has ben a nice day. I loaded 1 car and dug some potatoes. Eunice and Jane was down to the foot of the Plane to day to see rose?. October 5, 1879 (Sunday) This has ben a nice day. I was down the road and saw Aunt Nora and Irey? Linley?. I killed two chickens today. Jane has got a soar thumb. October 6, 1879 (Monday) This has ben a nice day. I loaded 1 car today and hung my barn doors. Jane has got a soar thumb. October 7, 1879 (Tuesday) I worked today and loaded 3 cars. Eunice and Jane made some catsup today. It has ben a dul(l) day. It looks like rain. October 8, 1879 (Wednesday) This has ben a nice day. I loaded 2 cars and carried some bark. Eunice, Jane and I was down to Dorsey? Greens to supper. Octoer 10, 1879 (Friday) This has ben a nice day. The mines worked today. I did not work. Fred and I had a ride? over to Sand Run. Thare(they are) staying up tonight. October 11, 1879 (Saturday) This has ben a cloudy day. I dug some potatoes and got them drawed? down. Eunice went to town. Fred and lew went home. Lint? and Milley staid with Jane all night. October 12, 1879 (Sunday) This is a fine day. I was down home tonight. Eunice is in town. Jane and Lint? was at church tonight. October 13, 1879 (Monday) This has ben a dull day. I loaded 1 car. Wert? Linley was here to supper. Dan and Charley Waden? is here tonight with Lint? and Jane. October 14, 1879 (Tuesday) I worked today and loaded 3 cars and I was sick tonight but I feel better now. Fide and Dors? was up tonight. Jane went and fide was down home today. Eunice is not home yet. October 15, 1879 (Wednesday) This has ben a warm day. I worked today around the furnace and it was a warm job. Eunice is not home yet. Jane is gon(e) to the foot of the Planes to a dance at Charley Northrops. October 16, 1879 (Thursday) This has ben a warm day. I worked today and loaded 2 cars and went down to the foot of the Plane to pay Lynch for my barn. Eunice came home and brought Bird. October 17, 1879 (Friday) This has ben a warm day. The mines did not work today. I carried some water for to wash and was over for my pay. It was 33 cents. October 18, 1879 (Saturday) This has ben a dull day. I did not work today. The mines only worked a half. I killed a chicken and picked it for dinner. Mother was up tonight. There was to be a dance in Powers. October 19, 1879 (Sunday) This is a cold day. I was down home. Jane and dan are down the road tonight. Jane has got through here now. She says she is going home tomorrow. She has ben here nine weeks and three days today. October 20, 1879 (Monday) This has ben a fair day. I loaded 3 cars today. Jane has left for good now. She is mad at me for taking Dan’s water? from her. Her clothes are here yet. She is a good girl anyhow if she is mad. Barclay. October 21, 1879 (Tuesday) I worked today and loaded 2 cars. I was down home today and brought some beets up. I paid Obrine 350 ($3.50) today. Jane and Eunice was down the road tonight. Dan came up with them. October 22, 1879 (Wednesday) I worked today and loaded 2 cars Dan was up tonight. October 23, 1879 (Thursday) This has ben a nice day. I was down to leroy today to see for some hay. Dan and I had dinner at Ja(y) Smiths and I got a load of hay from him. I was over to Iries. October 24, 1879 (Friday) This has ben a cold day. It snowed. I worked and loaded 3 cars. I put my potatoes and squash in the seller tonight. October 25, 1879 (Saturday) This has ben a cold wind today. The mines did not work. I banked the house and carried some wood and scrubbed the floor for Eunice. I was down home tonight. Dan and Jane are here tonight. October 26, 1879 (Sunday) This has ben a nice day. The babe is cross today. Tom got his chickens today. I carried a barrel of water today and was down the road tonight. October 27, 1879 (Monday) This has ben a nice day. I loaded 3 cars and picked my potatoes over tonight. Jane went home today and took her clothes. One of my Leghorn roosters died today. October 28, 1879 (Tuesday) This has ben a stormey day. I loaded 1 car today and cut some wood. I got word that Jay Smith is not going to bring me any hay. October 29, 1879 (Wednesday) This has ben a nice day. I loaded 3 cars and was down the road for some crackers and cookies. October 30, 1879 (Thursday) This has ben a nice day. I loaded 1 car and worked at my outside sellar door but did not get it finished. October 31, 1879 (Friday) This has ben a nice day. I did not go to the mines today. I made my sellar door. Jane L. was up today. November 1, 1879 (Saturday) This has ben a cool day. I loaded 3 cars. Got four to(o) late to load. November 2, 1879 (Sunday) This has ben a cold day. I was down home and in Tom’s. Tom was up and John and Vick. I gave Tom a chicken and two squashes. We went to church. November 3, 1879 (Monday) This is a cold day. I loaded 4 cars and brought some potatoes up from home. It is quite cold tonight. November 4, 1879 (Tuesday) This has ben a cold day. I did not work today. I got a keg of powder. This elextion I voted for the green Backs Party. Barclay. November 5, 1879 (Wednesday) This has ben a fair day. I loaded 4 cars. Robert Killock got hurt today. It is snowing tonight. November 6, 1879 (Thursday) This has been a fair thawing day. I loaded 1 car today. John Mack? and Jas. Pyne got hurt today. I was down home tonight with a pumpkin pie and brought a bundle of straw for my cow. November 7, 1879 (Friday) This has ben a warm day. I loaded 2 cars today. I got a load of corn stalks today. Fred Moore is up tonight. November 8, 1879 (Saturday) I worked today and loaded 4 cars and worked in the barn fixing a floor to cut corn stalks on. Bird went home today. November 9, 1879 (Sunday) This has ben a warm day. It tried to rain. I was down home. Tom and John was up today. Tom brought the old rooster up. He is sick. November 10, 1879 (Monday) I worked today and loaded 4 cars. I was trying to doctor the rooster. He is awful sick and I was working in the barn fixing a gate to keep the cow from going in the hay part. November 11, 1879 (Tuesday) I loaded 3 cars today. The old rooster died last night. It rained quite a little today. November 12, 1879 (Wednesday) This has ben a nice warm day. I loaded 3 cars today. It is raining like every thing now and thundering and it is neaded bad. November 13, 1879 (Thursday) This has ben a verry nice day. I loaded 3 cars today. It is time for bed. I wish it would rain tonight for water is scarce. November 14, 1879 (Friday) This has ben a rainey day. I loaded 2 cars today. I got my Devider tonight. November 15, 1879 (Saturday) I worked today and loaded 4 cars. It rained quite hard today. I killed two chickens, one for Tom and one for ous. November 16, 1879 (Sunday) This has ben a nice day. I cut my roosters coam today. Eunice is gon(e) to church tonight and left the babe with me. November 17, 1879 (Monday) This has ben a nice day. I did not work today. The mines did. I got my pay tonight. The miners had a meeting tonight. November 18, 1879 (Tuesday) I worked today and loaded 3 cars. It has ben snowing all day. My cow cut her foot today. I have a bad cold today. November 19, 1879 (Wednesday) I worked today and loaded 3 cars. Tom was up tonight and took some potatoes down and a squash. My folks gave me two cabbages tonight. November 20, 1879 (Thursday) This has ben a cold windey day. The snow is flying like the dickens. I loaded 3 cars today. It is freezing like everything. November 21, 1879 (Friday) This has ben a cold day. I did not go to work today. I made a stone lifter today in the shop and was down home. November 22, 1879 (Saturday) This has been a cold day. I loaded 1 car today. It was a half day. I was down the road and paid (?) J Obrine? 100 dollar ($1.00) and I killed a chicken. November 23, 1879 (Sunday) This has ben a stormey day. I was down home twice today. I wrote a letter to Charlott tonight. Eunice and I had to look our pickels over today. November 24, 1879 (Monday) This has ben a nice day. I loaded 3 cars today. We got two bushels of corn today. Mr. Green killed his pigs today. November 25, 1879 (Tuesday) This has ben a lovely day. I loaded 1 car today. Thare is a show in the Hall tonight and tomorrow night. I made a screw driver. My cow got down in the barn and could not get up. Fred Moore is up tonight. November 26, 1879 (Wednesday) This has ben a warm day. I loaded 3 cars today and was down home tonight. I took some oysters down for Tom. November 28, 1879 (Friday) This has ben a wet day. It is raining hard. I was over to the store and got a bottle of Bitters. It was hop?. November 29, 1879 (Saturday) This has ben a stormey day. I was in the mines to see them measure and loaded my car level full. I was over to the store and got me a pair of pance (pants). The miners had a meeting today. November 30, 1879 (Sunday) This has ben a cold day. Jane Linley and Uncle Sam was up here today. I was down home today. Devine was burried today. December 1, 1879 (Monday) This has ben a verry windy day. I did not go to the mines today. I went down to Leroy and bought a load of straw and some buckwheat bran. I was down home tonight. Eunice got a paper and four pictures today. December 2, 1879 (Tuesday) This has ben a nice day. I did not work today. Tom was up tonight and got some suggar and soap I gave him. December 3, 1879 (Wednesday) This has ben a nice day. I loaded 4 cars today and got a letter from cousin Charlot. I was down the road tonight. Ditchburn and Lyons was in my Place today. December 4, 1879 (Thursday) This has ben a cloudy day. I loaded 2 cars. I was down home tonight and took some milk down. December 5, 1879 (Friday) I worked today and loaded 4 cars and was down the road. December 6, 1879 (Saturday) This has ben a rainey day. I loaded 4 cars today and was down home tonight. December 7, 1879 (Sunday) This has ben a nice day. Eunice and the Babe and me was down to Uncle Sams at Franklin. December 8, 1879 (Monday) This has ben a wet day. I was in Towanda to see if I could get a job in the nail works, but the company had not come. December 9, 1879 (Tuesday) This has ben a nice day. I did not go to the mines today. I was over in the grave yard helping to dig a grave for Jas. Crawford’s ded(dead) born baby. I was down home tonight. December 10, 1879 (Wednesday) This has ben a wet day. I loaded 3 cars today. I was down home tonight. December 11, 1879 (Thursday) This has ben a wet day. I loaded 5 cars today. Jane Linley and Ruth Hill is here tonight. Dan is up here tonight. December 12, 1879 (Friday) This has ben a cold day. I loaded 4 cars. I was down home tonight and brought some cakes up. December 13, 1879 (Saturday) This has ben a nice day only rather cold. I loaded 3 cars and was down home. I got my Devider tonight. December 14, 1879 (Sunday) This has ben a wet and sleety day. I gave Jim Pelton a leghorn rooster for a game. I was down home tonight and to Jim Peltons today. December 15, 1879 (Monday) I worked today and loaded 5 cars. I was down home tonight. George and Jane Killock? was up tonight. It is quite cold tonight. December 16, 1879 (Tuesday) This has ben a nice day but rather cold. I was over to the Store for powder. Ruth went home today. Fred White was up today. I loaded 4 cars. December 17, 1879 (Wednesday) This has ben a cold day. I loaded 3 cars and was down home. Fred Moore is here tonight. December 18, 1879 (Thursday) This has ben a nice day. I loaded 3 cars today. I was down to see Peterson today. His foot is some better. Kate is very low. I got my pay tonight. Fred Moore is here tonight. December 19, 1879 (Friday) This has ben a nice day. I did not work today. I did not feel very well. Fred has gone home. The doctor was up to see the Babey. I was down home tonight. December 20, 1879 (Saturday) This has ben a nice day. I did not go to work. The babey is sick. I was down home tonight. December 21, 1879 (Sunday) This has ben a cold day. I wrote a letter to Lottie today. Mother? was up tonight. I was down home tonight. December 22, 1879 (Monday) This has ben a cold morning. I did not work today. The babey is better tonight. I killed a hen today. I was down to the Doctors tonight for fixing for the Babeys bottle. Eunice is gon(e) down to Peltons to get one if she can (?). December 23, 1879 (Tuesday) This has ben a nice day. I loaded 2 cars today and was down home tonight twice. I do not feel well tonight. John Prothers? was discharged yesterday. I bought a Silk Handercheif (?) from Joe. December 24, 1879 (Wednesday) This has ben a nice day. I loaded 2 cars today. I went over to the Store for a Christmas present for Eunice and got one. It is a close(clothes) ringer 87.(?) She got me a watch case. Eunice got mother a pin cushion and a pair of mit(t)ens and I got father a handercheif (handkerchief). I was down home and at (?) (?) (?) and (?) and Uncle Daniels Prayer. December 25, 1879 (Thursday) This is Christmas day and it has ben a stormy one. I got my hare(hair) cut and killed two chickens and was down home two or three times. Mother gave me a bottle of wine. Vick gave Willard a two shilling pi(e)ce, it is English money, and gave him a candy h(e)art. Eunice is gone to the Christmas tree in the Schoolhouse the (?). December 26, 1879 (Friday) This has ben a cold day. I did not work today. Vet? Linley was her(e) today and had breakfast with ous. I was over to the store today and down home. Powers sold thair cow today for $20. December 27, 1879 (Saturday) This has ben a nice day. I loaded 2 cars today and was down home tonight. Father gave me a peice of beef. December 28, 1879 (Sunday) This has ben a warm day. I was down home twice today. Willson and his family was down to our folks today. I was down to the Doctors. Out babe has a swell(l)ing? on his bot(t)om. December 29, 1879 (Monday) This has ben a dul day. I loaded 3 cars and was down home tonight. Out babe is better today. December 30, 1879 (Tuesday) This has ben a cold afternoon. I loaded 4 cars today and was down home tonight. I carried a barrel of wash water and some cooking. December 31, 1879 (Wednesday) This has ben a stormey day. I loaded 4 cars today and was down home tonight. Thare is a Ball in the Hall tonight. I was in the Boarding house tonight. Empty is the cradle babys gon. Charles Green died January-found dead on the Schools on the morning of the 17 in the year 1880 and burried on the 18th. Paid rent to R. Sebick? from Oct the 5, 1880 to March the 5, 1881. 30 dollars. Died. STRANGE—In Barclay. Friday, July 23d. 1880, age 11 months, Willie, son of James and Eunice Strange. Our babe was Born March the 14th 1878. died July the 21, 1878. The cow drove on the night of July the 11, 1879.